Which is better elliptical or treadmill for weight loss? Obesity is a worldwide pandemic that's on the rise. Worldwide, obesity has nearly doubled in frequency since 1980. Almost 2 billion of the adults in the world were overweight in 2014 - 600 million of which were considered obese. Obese people have a BMI of over 30. Obesity results when a person has an excess of fat in their body. This can be caused by overeating, or simply having a bad diet and not exercising. Obesity can also be hereditary. A slow metabolism can be passed on through genetics, which results in the body not being able to burn calories fast enough. Excess calories are stored as fat in the human body. Obesity can be prevented in several ways. It can be as simple as changing your diet if you're prone to overeating, or simply eat healthier foods if you overindulge on junk food. For the most extreme cases of obesity, liposuction – medical removal of extra weight – can be necessary. The most common and effective remedy for obesity, however, is simple: making sure you get enough exercise and control your diet. Exercising has a number of benefits that extend beyond simple weight loss. Exercising reduces the risk of cardiovascular disease. Obesity greatly increases the risk of diseases of the heart. Treadmills are the most common pieces of weight loss equipment. They're used extensively across the world. Exercise bicycles simulate bicycling and allow you to burn a huge amount of calories. Exercise bicycles can be used indoors, allowing for fans of biking doing it indoors when the weather's bad. 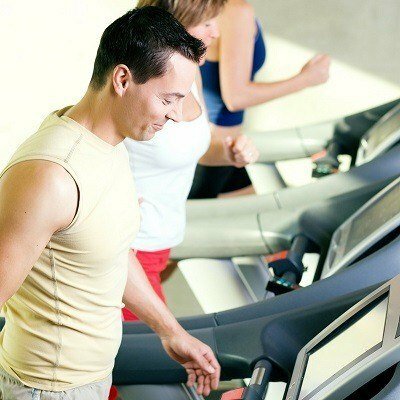 A treadmill is a machine that allows someone to run in place.Treadmills have had various uses through history since their invention in the early 1800s. They were originally used as a device to harvest the power of humans for labor. They were used for productivity in factories and mills, or as punishments in prisons. As obesity began to become a more common problem, people realized that the treadmill is a great way of losing weight. Nowadays, treadmills used for exercise are powered electrically. The continuous movement of the belt is powered by a motor. This allows a person to run or walk in place for long periods, without exerting too much energy by having to move the belt themselves. Modern treadmills have different settings. Speed can be adjusted for different speeds of running, and adjusting the elevation can simulate running uphill. Treadmills are tremendously popular options for people hoping to lose weight. Treadmills are used ubiquitously: at universities, public gyms, running facilities, hospitals, and health rehabilitation units - even NASA's training programs utilize treadmills. Manual treadmills are not powered by electricity. Instead, the motion of the belt is controlled by the speed of the person running or walking on the treadmill. This means that manual treadmills are much more exhausting when used for exercise. Automatic treadmills are powered by motors and allow speed and elevation to be controlled by the user. This allows the user to exercise for longer periods of cardio exercise. Allows for adjustments to speed and incline that wouldn't be possible running outside. Can be built with cushioning to compensate for the stress put on the body from running. Can track calories burned and distance traveled. Turns idle activities like watching TV into an active sport. Running indoors can become repetitive due to a lack of changing the scenery. Users may lose interest. Treadmills are often a huge financial investment which take lots of living space. Elliptical trainers are the proper name for the stair-climbing machines mentioned earlier in the article. They can simulate running, walking, and climbing stairs on a place. Elliptical machines are actually much safer than running or walking outside, since they're built to prevent injuries from repetitive strain. Because of this, they are also an option for some people who have injured themselves and aren't able to run outdoor. Treadmills have been around for just over two centuries. Much like treadmills, elliptical machines have motorized and non-motorized versions. Different settings can be applied, allowing people to personalize their workout routines. Different models have different prices, and the more expensive ones have more complex settings. Manual elliptical trainers do not have motors. These aren't very common since they require a huge amount of effort to use, and are not often seen in gyms or even as home exercise machines. Elliptical gliders are built a bit differently than other elliptical training devices. The 'pedals' are attached to a stationary bar and are swung in semi-circular motions. They typically require less resistance than other elliptical machines and aren't as intensive or effective at burning calories. Automatic elliptical machines are powered by motors and are much more common than manual machines. Automatic elliptical machines allow the user to customize their exercise routine by adjusting certain settings. Like a treadmill, you can adjust the resistance to create a tougher workout, or create a simulated incline. Automatic machines cater to people who have specific needs in their exercise programs. 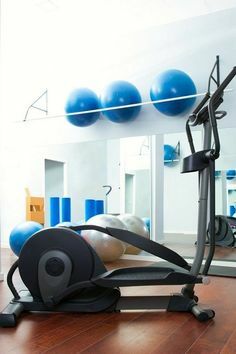 Elliptical trainers are standard elliptical exercise machines. The machine operates by a person simply applying their weight to the pedals, creating a circular (elliptical) motion. This requires the extension of the knee and hip, working the hamstrings, quads, and glutes. There are quite a few pros that come with using elliptical machines. A lot of people consider them more effective than treadmills – they share many of the same benefits, as well as some additional ones. Ease of use: Elliptical trainers are quite simple to use – especially elliptical gliders, which can be used without even having to switch them on.This can be appealing for someone who doesn't want to tweak settings for a particular routine. Versatility: The fact that cross-trainers can work for the upper body as well as the legs is extremely appealing for people looking to find a full-body workout. They're great for losing weight as well as building muscle in your whole body. Multitasking: Like treadmills, one can add sedentary activities like watching TV into their workout routine. Now, watching cartoons can become a weight-loss activity! Safety: Ellipticals are much easier on the body than treadmills.There's much less pressure put on the knees and ankles.Using a treadmill can cause damage if used improperly – even when used properly – by repetitively throwing all your weight onto your legs hundreds of times per workout. Rehabilitating from injuries: In addition to being less likely to cause injuries, using an elliptical trainer can actually help restore motion to certain injuries of the hips and knees. Price: Like treadmills, elliptical trainers are far from cheap. Less control: Since automatic treadmills keep you walking or running at a set pace, they control the rate of your workout. Some people find it easy to slack off when using an elliptical since the efficacy is determined by how much effort you put in. Shorter folk might be injured by hyper-extending their knees since ellipticals are generally a one-size-fits-all machine. What Should You Chose: Treadmill or elliptical for weight loss? On the surface, ellipticals and treadmills look like very different machines. Despite this, an elliptical allows you to perform pretty much any type of exercise that you can on a treadmill – and then some. Elliptical trainers put less strain on the body while offering a greater range of exercise techniques. Considering both machines are in a similar price range, the elliptical is more practical. Ellipticals do less damage to your body, are just as effective at burning calories.